Sweeping leadership changes have taken place at Tribune Publishing since Michael Ferro, formerly the majority owner of the Chicago Sun-Times, became the largest shareholder in early February 2016. After years of bankruptcy as part of Tribune Co. and since spinning off and going public in 2014, Tribune Publishing — owner of the Chicago Tribune, Los Angeles Times and other major daily newspapers — has acquired a range of other titles as well as endured the ups and downs of the market. An attempt to purchase the Chicago Sun-Times, longtime rival of the Tribune, failed in July 2017. Tronc sold the Los Angeles Times and San Diego Union-Tribune in February 2018 to Los Angeles biotech billionaire Patrick Soon-Shiong for $500 million in cash. Tribune Co. puts itself on the block, saying a special committee of the board of directors will consider restructuring, selling assets or taking the company private in a leveraged buyout. Tribune Co. agrees to go private in an $8.2 billion leveraged buyout led by Chicago real estate tycoon Sam Zell. The deal technically hands ownership to an employee stock ownership plan but gives Zell control over the media conglomerate that traces its roots to 1847. Zell closes the second step of the two-step deal, which loads the company with about $13 billion in debt. Tribune Co. reaches a deal to sell a 97 percent stake in Newsday, the Long Island, N.Y., newspaper, to Cablevision Systems Corp. for $650 million. Tribune Co. files for Chapter 11 bankruptcy protection, as it runs short of cash amid the gathering recession and industrywide falloff in advertising spending. It decided it wouldn't make payments due to holders of one class of debt. With other debt payments looming in January, the company opts for bankruptcy. 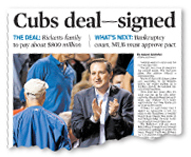 The Ricketts family forges a deal to take control of the Chicago Cubs and Wrigley Field from Tribune Co. for about $800 million, turning over the storied franchise to a clan that built its fortune with an online stock brokerage. Tribune Co. emerges from bankruptcy and the new owners name a new board of directors. Tribune Co. announces plans to spin off into two companies, effectively ending an 89-year strategy of pairing broadcasting and print. 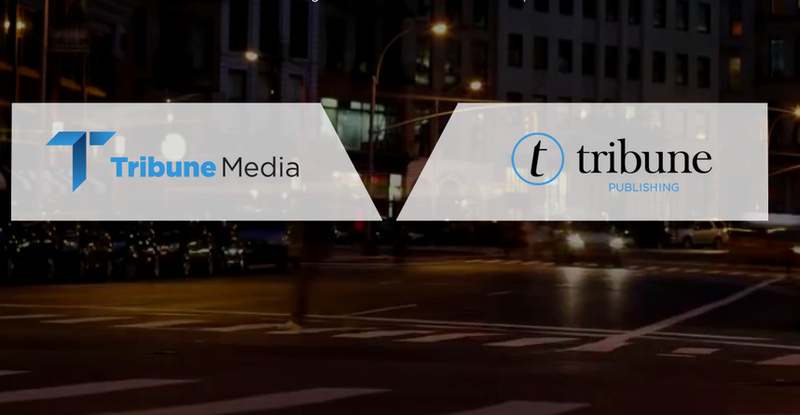 Tribune Media tightens its focus to broadcasting and a new company, Tribune Publishing, is created to focus on the newspaper properties. The assets were divided along those lines with real estate and other valuable assets staying with the broadcasting company. "The separation is designed to allow these two companies to have greater financial and operational focus, the ability to tailor their capital structures to specific business needs and a management team dedicated to strategic growth opportunities with maximum flexibility -- in short, each will be a stronger company when separated from the other," CEO Peter Liguori said. 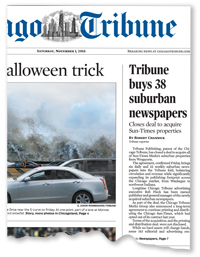 With the spinoff complete, Tribune Media and Tribune Publishing debut as independent publicly traded companies. 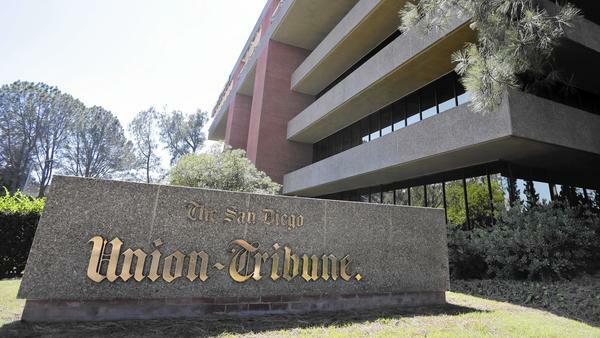 Tribune Publishing acquires the San Diego Union-Tribune for $85 million. The deal includes nine community weeklies and related websites. "The acquisition of San Diego Union-Tribune and its related community properties is expected to be accretive to Tribune Publishing and reflects our continuing drive to create value for our shareholders," Griffin said. Tribune Publishing approves buyouts for about 7 percent of its eligible 7,000 employees across its media portfolio including more than three dozen at the Tribune. 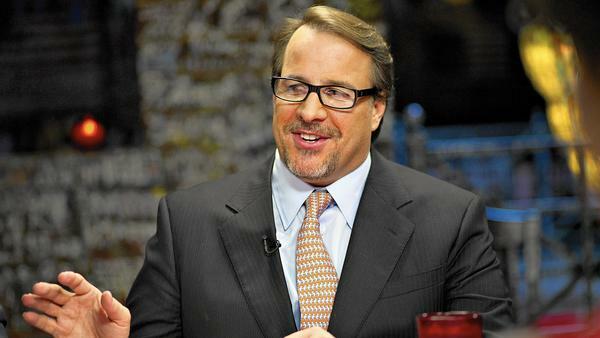 Michael Ferro, majority owner of the Chicago Sun-Times, becomes the largest shareholder in Tribune Publishing. The company sold more than 5.2 million shares of newly issued common stock to Merrick Media, a Chicago-based investment firm controlled by Ferro, in a $44.4 million deal. 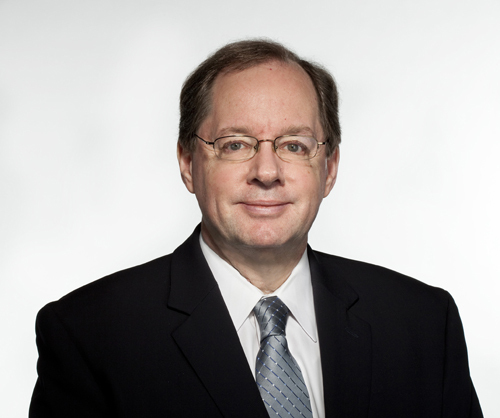 Bruce Dold, previously the newspaper's editorial page editor, replaces Gerould Kern as editor of the Chicago Tribune. Kern retires after leading the Tribune since July 2008. Jack Griffin is replaced as CEO of Tribune Publishing by Justin C. Dearborn. Dearborn most recently was CEO of Merge, a health care technology company acquired by IBM in October. Bruce Dold is promoted to a dual editor-publisher role at the Chicago Tribune, while other Tribune Publishing editor-in-chiefs also are promoted to the same role. Tony Hunter, publisher since 2008, is promoted to president of national revenue and strategic initiatives at Tribune Publishing. At the same time, Ferro announces that he is donating his ownership stake in the Chicago Sun-Times to a charitable trust to avoid perceived conflicts of interest. Tribune Publishing announces it is the successful bidder in a public auction in U.S. Bankruptcy Court for Freedom Communications, which is the publisher of the Orange County Register. The bid will need court approval, with a hearing scheduled for March 21, but must overcome serious anti-trust concerns raised by the U.S. Department of Justice. After a judge blocks the sale of the Orange County Register and Press-Enterprise of Riverside to Tribune Publishing, Freedom Communications decides to sell to Digital First Media. Gannett announced an offer to buy Tribune Publishing for $815 million, including the assumption of $390 million in debt. In a letter to Dearborn released by Gannett, the company said it was "disappointed" by the response and Tribune was trying to "delay constructive engagement" and noted the all-cash value of the transaction meant it could be completed quickly. 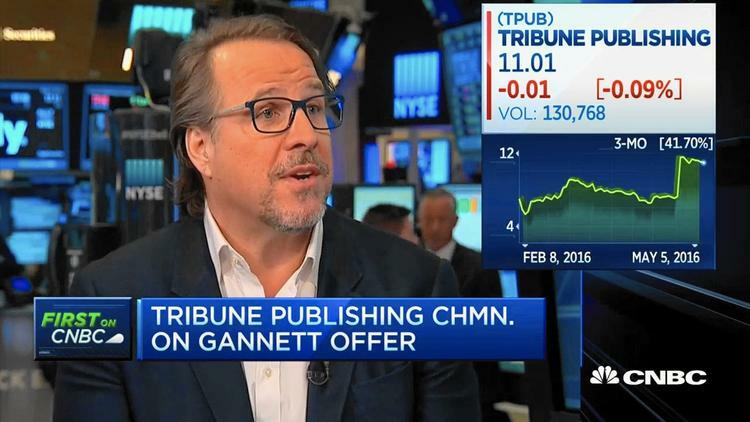 Tribune Publishing acknowledged the offer shortly after Gannett's announcement, saying it received the proposal April 12 and told Gannett that the board would retain advisers to help it evaluate the proposal. Tribune Publishing's board votes unanimously to reject Gannett's $815 million unsolicited offer to buy the Chicago-based owner of the Chicago Tribune, Los Angeles Times and other major newspapers. In an interview, Ferro says Chicago-based Tribune Publishing's newly outlined plans for leveraging the digital assets of the company will bring more value to shareholders than Gannett's offer. "There's no price," Ferro told the Tribune. "We're not for sale. We'll always listen to everybody but we're not for sale." Tribune Publishing's second-largest shareholder, Oaktree Capital Management, wants the company's board to meet with Gannett about a possible sale of the Chicago-based newspaper company. The Los Angeles-based investment firm, said Tribune Publishing should "pursue discussions with Gannett to see if an acceptable agreement can be reached," according to a filing with the Securities and Exchange Commission. It is the first public statement from Oaktree, which owns 14.8 percent of Tribune Publishing, since Gannett's unsolicited $815 million offer. Tribune Publishing's board adopts a shareholder rights plan to defend itself against Gannett's unsolicited bid to buy the Chicago-based newspaper company. The publisher of the Chicago Tribune, the Los Angeles Times and other papers said the plan, commonly known as a "poison pill," would kick in if a group buys more than 20 percent of Tribune Publishing's shares or begins a tender offer to seek a 20 percent stake from existing shareholders. Gannett and Tribune Publishing leadership meet in Chicago but no progress is made. USA Today owner Gannett boosts its takeover bid for Tribune Publishing Co. by about 22 percent. Tribune's second-largest shareholder, Los Angeles-based investment firm Oaktree Capital Management, delivers an unequivocal message to the board: Negotiate a transaction with Gannett. Each company calls out the other's leaders by name and questions management's decision-making. Tribune Publishing rejects Gannett's $15-per-share offer to buy the company, but opens the door to negotiations. Tribune Publishing also announces it received a $70.5 million investment from Los Angeles billionaire Patrick Soon-Shiong's Nant Capital in a deal that makes the California-based technology investment firm the company's second-largest shareholder, surpassing Oaktree Capital Management, which has pushed Tribune Publishing to negotiate a sale to Gannett. The owner of the Chicago Tribune has a new name, Tronc, which is an acronym for Tribune online content. A sizable percentage of Tribune shareholders also voiced disapproval with the company by withholding votes from its slate of board candidates at Tribune Publishing's annual meeting Thursday in Los Angeles, according to Gannett. During an interview with CNBC, Ferro says that Gannett's $15 bid was "undervalued," but hedged on the "no price" stance he took last month. "That's up to the board and the outside advisers to decide, but there's a price," Ferro said. "There's always a price." In a news release, Gannett says it will keep its $15-per-share offer for Tronc on the table into August. Tronc reports a higher second-quarter net income despite continued revenue declines. Three months after its last offer was spurned, Gannett offers a new bid for an undisclosed price for the Chicago-based newspaper chain formerly known as Tribune Publishing. Representatives for both Tronc and Gannett declined to comment. Gannett announces it is ending discussions to acquire Tronc. 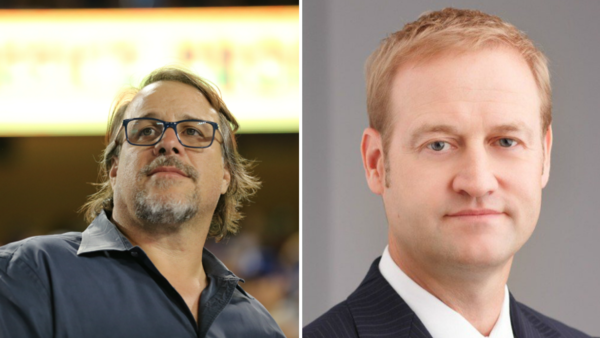 In multiple transactions during six weeks, Michael Ferro and Patrick Soon-Shiong acquire nearly 2 million shares combined of Tronc's stock at a steep discount to Gannett's last offer for the company, according to Securities and Exchange Commission filings. Ferro, the company's chairman, spent more than $15 million to acquire 1.3 million shares between Nov. 7 and Dec. 7, at prices ranging from $10.09 to $13.50 per share. Meanwhile, Soon-Shiong spent $8.1 million to buy nearly 669,000 shares between Nov. 4 and Dec. 8 at prices ranging from $9.48 to $13.49 per share. Oaktree Capital Management, the Los Angeles-based investment firm that was once Tronc's largest shareholder, sells its remaining 3.74 million shares back to the publishing company in a deal valued at more than $56 million. The company also took action to keep Ferro, his Merrick Ventures and its affiliates the largest shareholders by increasing to 30 percent, from 25 percent, the maximum stake of the company they can own, according to a Securities and Exchange Commission filing. Tronc announces that it has entered into a nonbinding letter of intent to acquire Wrapports — whose properties include the Sun-Times and the Chicago Reader -- for an undisclosed price. 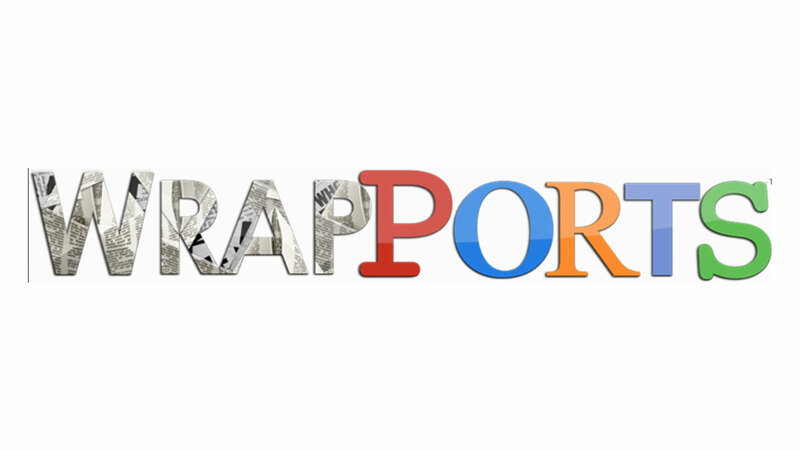 Wrapports published notice of the proposed sale to Tronc and solicited competitive bidders on May 16. According to the terms of the deal, if no other "viable buyer" emerged within 15 days, the Sun-Times would be sold to Tronc. At the behest of the Justice Department, the deadline was extended several times to accommodate potential buyers until an investor group led by former Chicago Ald. Edwin Eisendrath submitted its bid June 19. The Chicago Sun-Times is sold to Eisendrath's group and the Chicago Federation of Labor, ending a bid by Tronc that sought to acquire its longtime rival. 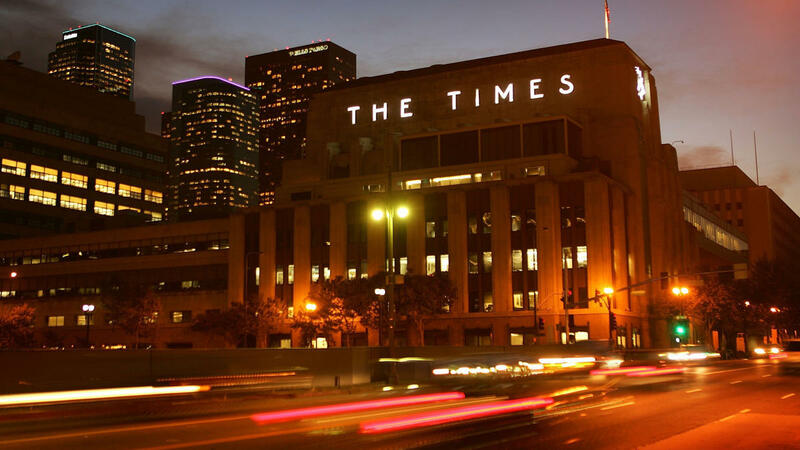 The Los Angeles Times ousts editor-publisher Davan Maharaj, a 28-year veteran of the paper, along with Managing Editor Marc Duvoisin, Deputy Managing Editor for Digital Megan Garvey and Assistant Managing Editor of Investigations Matt Doig. 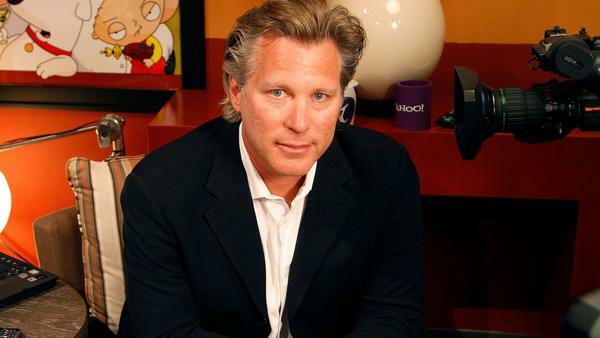 Veteran media executive Ross Levinsohn is named Times publisher. 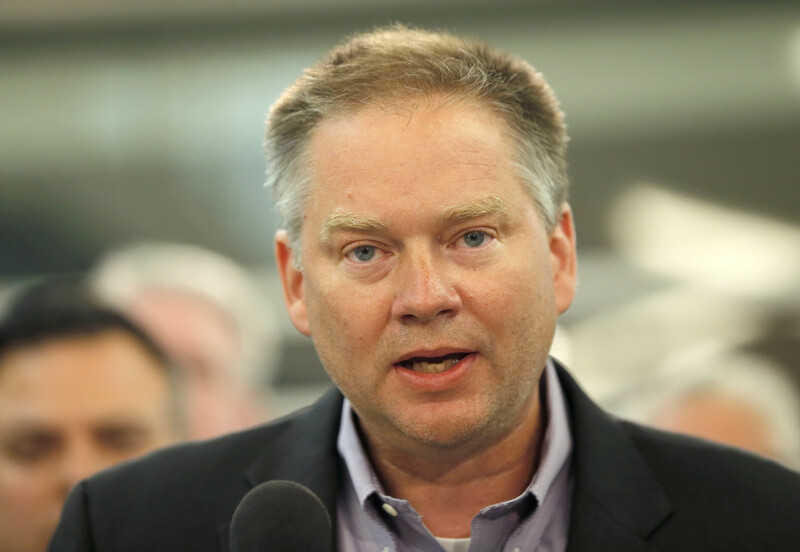 Jim Kirk, who until the previous week was editor and publisher of the Chicago Sun-Times, is named interim executive editor. 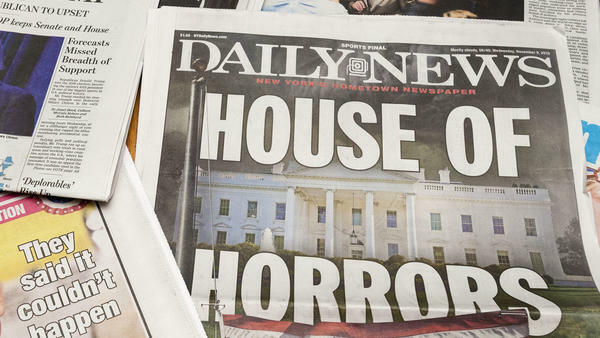 Tronc acquires the New York Daily News -- for $1 and the assumption of operational and pension liabilities. 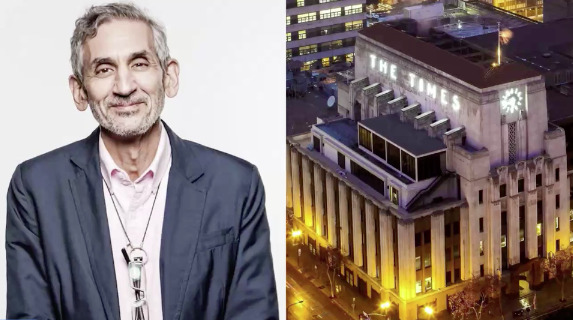 Lewis D'Vorkin, chief product officer for Forbes, is named the editor in chief of the Los Angeles Times. In a first for the 136-year-old news organization, Los Angeles Times journalists vote 248-44 to form a union that will be represented by the Washington, D.C.-based NewsGuild-Communications Workers of America. Los Angeles Times publisher and Chief Executive Ross Levinsohn is placed on an unpaid leave of absence as the paper's parent company, Tronc, investigates allegations of inappropriate conduct while he was an executive at other companies. Veteran Chicago journalist Jim Kirk, 52, is named editor in chief of the Los Angeles Times. He replaces Lewis D'Vorkin and becomes the third top editor at the Times in less than six months. 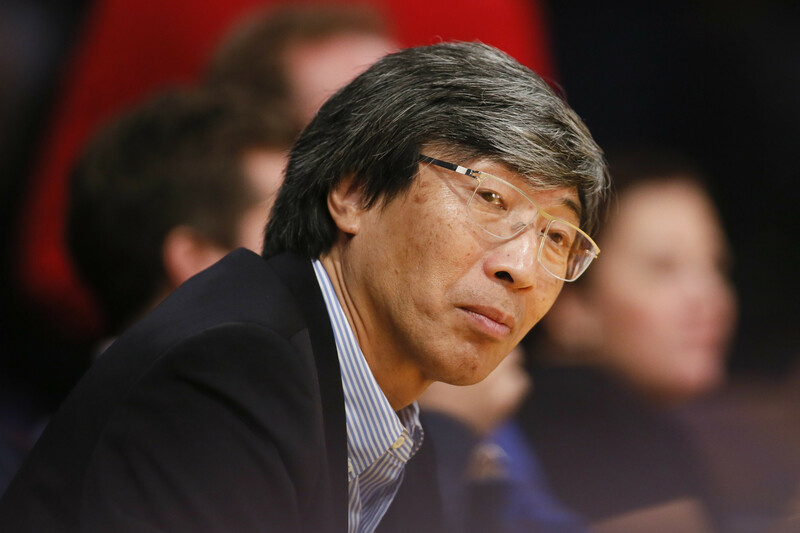 Los Angeles biotech billionaire Patrick Soon-Shiong is nearing a deal to buy the Los Angeles Times and the San Diego Union-Tribune from its parent company, Tronc, according to two people familiar with the talks. Tronc agrees to sell the Los Angeles Times, San Diego Union-Tribune and other California-based assets to Los Angeles biotech billionaire Patrick Soon-Shiong for $500 million in cash. Soon-Shiong, Tronc’s second-largest shareholder, will also assume $90 million of pension liabilities tied to the California properties. Tronc also announced that it will form a new division called Tribune Interactive, which will be led by Los Angeles Times Publisher Ross Levinsohn. The company said that an independent investigation into allegations of sexual harassment at previous companies found "no wrongdoing" by Levinsohn, who has been on unpaid leave since Jan. 19. Lewis D'Vorkin, who was abruptly replaced as editor in chief of The Times, will be its chief content officer. Michael Ferro, left, retires from the board of Tronc ahead of the newspaper chain's $500 million sale of the Los Angeles Times and other California assets. Justin Dearborn, chief executive officer of Tronc, was named to succeed Ferro as chairman of the company. Michael Ferro agrees to sell his entire stake in Tronc -- more than 9 million shares, or 25 percent of the company -- to McCormick Media for $208.6 million. Michael Ferro terminates the purchase agreement because of a "breach of its obligations" by the buyer, McCormick Media. 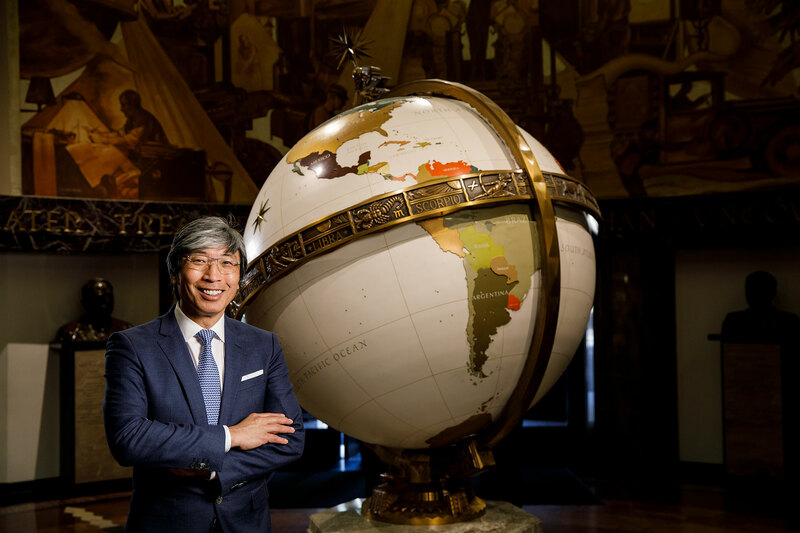 Biotech billionaire Patrick Soon-Shiong's purchase of the Los Angeles Times and San Diego Union-Tribune for $500 million from Tronc, which is considering bringing the Tribune name back in some form, is finalized. 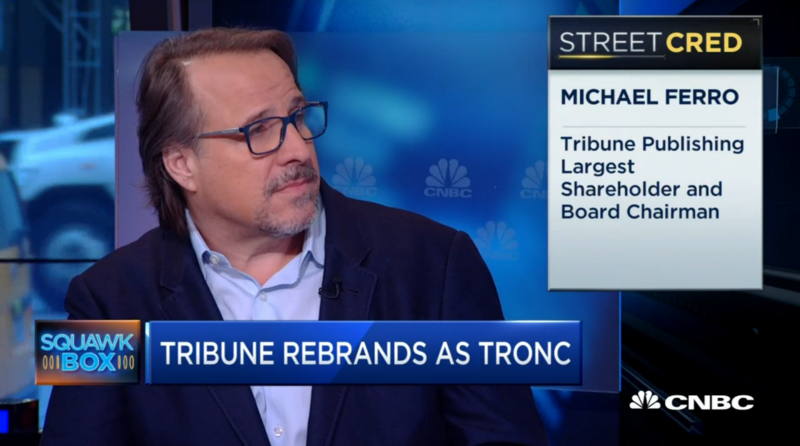 The parent of the Chicago Tribune announces it's changing its name from Tronc to Tribune Publishing and will trade on the NASDAQ under the new ticker symbol TPCO starting Oct. 10, 2018. Tribune Publishing was the inaugural corporate name for the newspaper company, formed in August 2014 when the Tribune Co. publishing unit was spun off from its broadcast stations.